Imagine holding an album in your hands or walking into your master bedroom to see your wall art over your bed – admiring those favorite photographs that make you light up with pride. I am thrilled to offer gorgeous artwork options for you to continue celebrating your boudoir experience in your home. Whether tastefully discreet or loud and proud – we will help you design the perfect artwork to celebrate your beautiful self! 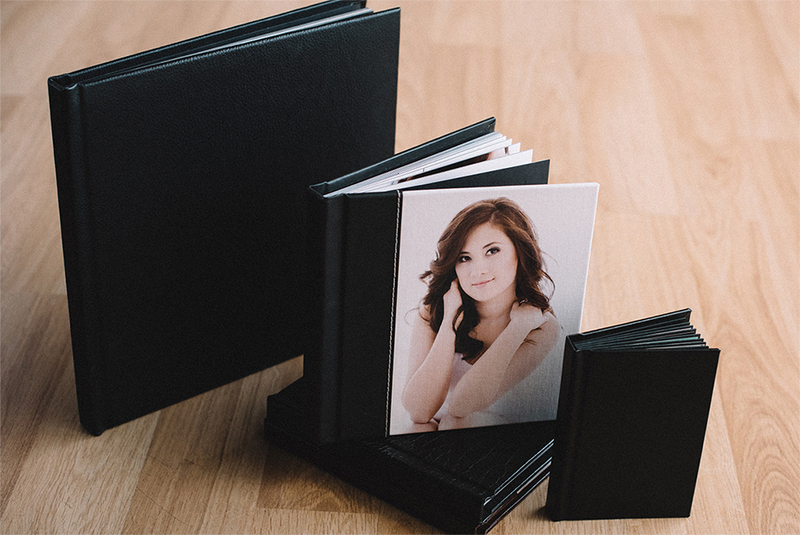 Our most popular product by far is our beautiful boudoir album that can be filled with all of your favorite portraits that celebrate YOU! You can choose from a selection of sizes and cover options to customize it to suit your style. Your album is handmade and, as such, typically take about 3-4 weeks to deliver. We want to make sure you have exactly what you need, so please let us know of any important deadlines. One of our clients’ favorite offerings is our boudoir wall art options. We can create a collection of your favorite portraits or highlight a single portrait as a statement piece for your home on canvas, wood or metal. During your cinematic premiere, your design consultant will help you create artwork that fits your lifestyle. Many clients love to decorate above their bed or dresser in their master bedroom, their master closet or bathroom. It’s best to think about your home and where you’d like to see your artwork and be reminded on a daily basis of how fierce you truly are. Everywhere…right?! If you are looking for a creative way to display and highlight your gorgeousness, then the portrait box is a perfect fit! 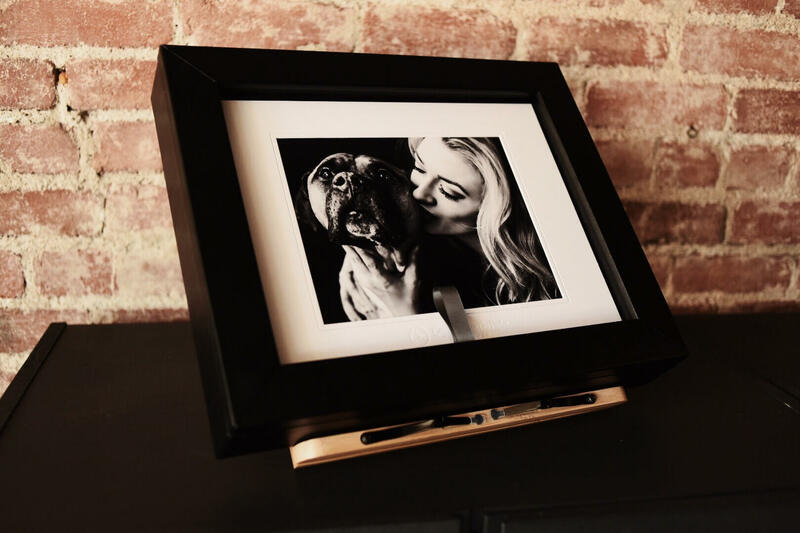 You’ll select your favorite photographs and we’ll have 8×10 fine art portraits matted and added to your box. This artwork will allow you to swap out (change out) and highlight a different favorite portrait on the front of the box whenever you want. When you look back at this time in your life 20 years from now, without a doubt, you too will want to tell yourself how perfect, beautiful, strong, and worthy of so much love you are. This woman you are now, she is worth fighting for. This woman you are now, she is beautiful and worth celebrating. I can’t wait to see what artwork you choose to celebrate your beautiful self and this experience!